Best Online Schools with Digital Marketing Degrees in the U.S.
With an estimated 1.66 billion online shoppers worldwide, the online shopping market is booming. According to Statista, in 2017, global e-retail sales amounted to $2.3 trillion U.S. dollars and projections show a growth of up to $4.48 trillion U.S. dollars by 2021. In Asia Pacific, e-retail sales accounted for 12.1% of retail sales in 2016 and mobile shopping is on the rise, with customers increasingly using their mobile devices for various online shopping activities. In the third quarter of 2017, smartphones were the number one device in terms of retail website visits. As more people turn to their computers and smartphones to shop, the demand for sophisticated digital marketers will continue to grow. While having a knack for sales is a great start to a career in this competitive market, to compete in the global industry, you will need a degree from an accredited school. Some of the best schools with digital marketing degrees are also located in or near major cities such as New York, Chicago, Los Angeles, and DC. While location is important, students also place a high value on flexibility and convenience. Fortunately, many of the best schools with digital marketing degrees also offer programs that are delivered fully online or in hybrid format. We’ve identified below five universities that meet all of the criteria of a “Best” school for aspiring digital marketers. The schools are listed in alphabetical order, beginning with Colorado Technical University. Course highlights include Branding and Visual Marketing, Consumer Behavior Fundamentals, Data Analytics for Digital Marketing, Data Driven Decision Making, International Business Communication, International Marketing, Marketing and the Virtual Marketplace, New Media Marketing Analysis, Research Design Methods and Applications, Search Engine Optimization (SEO) and Web Design, and World Values and Cultures. 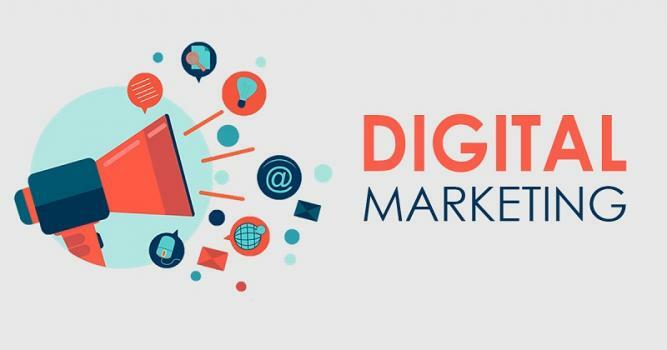 To prepare for a successful career in digital marketing students will also take Academic and Career Success (worth 4.5 credits) and Career Planning and Management (worth four credits). Internship opportunities are also available. Besides the curriculum, another unique component of this 180 credit hour program is the CTU Fast Track, which allows students to complete a series of mini-modules designed to test their knowledge of key course objectives. Upon successful completion of the modules, students will earn college credit, for what they already know. Nearly 60% of CTU Business Administration graduates are in permanent positions that are either full-time or a part-time position (at least 20 hours per week). Colorado Technical University is institutionally accredited by the Higher Learning Commission (HLC) and the BSBA program is accredited by the Accreditation Council for Business Schools and Programs (ACBSP). Located in Winter Park, Florida, just five miles from Orlando and less than 85 miles from Tampa, Full Sail University has two degree options for aspiring internet marketers—a BS and MS in Digital Marketing. Per the school, students in the BS program will “explore the ongoing conversation between marketers and consumers on a professional level.” Students will learn to “develop dynamic content for a multitude of industries while providing clients with search engine optimization and analytics to ensure products reach their target audience.” Learn more about Full Sail's programs. Students will also complete seven “Project and Portfolio” courses worth three credits each including Project and Portfolio I & II: Business and Marketing, Project and Portfolio III: Marketing, and Project and Portfolio IV-VII: Digital Marketing. These unique Project and Portfolio courses combine “hands-on learning experiences with summative and formative portfolio assessments.” These courses are taken in addition to an internship, which can be pursued after the student has successfully completed 50% of the required credit hours for the BS program. The BS in Digital Marketing can be completed in 29 months. The MS in Digital Marketing “offers an advanced overview of multichannel marketing, including the fundamentals of web culture, SEO, and analysis of consumer behavior patterns.” Course highlights include Advanced Digital Marketing Strategies, Advanced Search Engine Optimization, Consumer Behavior and Analysis, Digital Design and Usability, Digital Marketing Law, Digital Marketing Campaign Development, Mastery: Personal Development and Leadership, and Strategic Internet Public Relations. The MS in Digital Marketing takes just 12 months to complete. Both the BS and MS programs are taught at a faster pace than traditional schools, so students “adapt to the 24/7 nature of their industries.” Students learn more in a shorter period of time, allowing them to start on their professional path sooner. Per the school, graduates of both programs are employed as Advertising and Promotions Managers, and Marketing Managers, with 71% of MS program graduates of obtaining positions according to the Accrediting Commission of Career Schools and Colleges job placement rate. Note: Full Sail University also offers a 4-month Online Graduate Certificate in Digital Marketing. Located just 65 miles from Chicago, Northern Illinois University (NIU) offers an MS in Digital Marketing (MSDM) that may be completed entirely online. It is the first fully online Association to Advance Collegiate Schools of Business (AACSB) accredited MS in Digital Marketing offered by an Illinois-based university, and one of only three in the country. With courses taught by industry-focused faculty, the program “provides advanced study” to prepare students for “the challenges of a digital world,” says the school. Content Marketing, Digital Marketing and Search Engine Optimization, Digital Marketing Metrics, Entrepreneurial Creativity and Innovation, Mobile Marketing, and Online Reputation Management. Students may choose an area of focus within the Digital Marketing Foundation including Analytics, Content Marketing, Database Marketing, Data Visualization, Email Marketing, Paid Digital Marketing, Marketing Research and Social Media Marketing. Students may also add a certificate in Professional Selling or Retail Management. Other program highlights include small class sizes, internship and study abroad opportunities, and an active Career Services Center within the Division of Academic Affairs. In addition, with NIU’s rolling admissions, students can apply and enroll whenever it’s best for them. Once in the program, full-time students can expect to graduate in just one year. Note: NIU offers an online BS in Marketing with the option to add a Digital Marketing, Professional Selling, or Retail Management certificate. Both the MS and BS are offered through the College of Business. The Business Administration major requires 180 credit hours and it consists of two parts—lower-division and upper-division. A unique component of the program is the lower-division business core coursework may be completed at OSU or any accredited college or university that offers equivalent courses transferable to the school. Examples of lower division courses include Communications, Economics, Math and Writing. Examples of upper-division courses include Business Process Management, International Management, and Managing Ethics and Corporate Responsibility. Throughout the entire program, students will take a series of three one-credit courses (1st, 2nd, 3rd and 4th years) that “revolve around personal, professional and leadership development.” Students gain skills related to teamwork and team leadership, career preparation, career placement, self-leadership, work-life balance, financial literacy, and networking. Students will also have the opportunity to complete a local, regional, national or international internship, as well as study abroad experiences. Oregon State University has been continuously accredited since 1924 and is currently accredited by the Northwest Commission on Colleges and Universities (NWCCU). The College of Business overall, as well as OSU’s accounting program, is AACSB-accredited. Taught by industry professionals, sample courses for the 120 credit hour program include Advertising Copy, Layout, and Design, Consumer Behavior, Internet and Interactive Media Marketing, Mobile Application Development, Multimedia Web Design, Retail Merchandising and Management, Social Media Marketing, and Strategic Marketing. A Business Policy Seminar is also part of the program as well as the “College to Career Core,” and internship opportunities. The College Career Core consists of the College Success Seminar and the Professional Success Seminar, worth three credits each. Communication - Students will communicate professionally using written and/or oral skills essential to success in the business environment. Fundamental Business Concepts - Students will demonstrate the ability to apply the fundamental concepts of Management, Marketing, Accounting, Finance, and Economics in a business environment. Managing Marketing - Identify key target markets and develop a suitable strategic marketing mix to satisfy those key markets. Marketing Research - Synthesize marketing research results to make better decisions in the creation of effective marketing strategies. Marketing Strategy - Evaluate the role of strategic marketing and formulate a plan to maximize an organization’s overall marketing objectives. Graduates of the program are employed as Advertising and Promotions Managers, Green Marketers, Marketing Managers, Sales Managers, Market Research Analysts and Marketing Specialists and Business Teachers, Postsecondary. Post University is accredited by the New England Commission of Higher Education (NECHE). The Malcolm Baldrige School of Business BS in Marketing is ACBSP-accredited. “Online-Shopping and E-Commerce worldwide.” Statista, The Statistics Portal, Statista, Inc., 2018. Web. 11 Nov. 2018. “Online shopping behavior in the United States.” Statista, The Statistics Portal, Statista, Inc., 2018. Web. 11 Nov. 2018. “Online Digital Marketing Degree: An Overview.” U.S. News & World Report, U.S. News & World Report L.P., 2018. Web. 11 Nov. 2018.